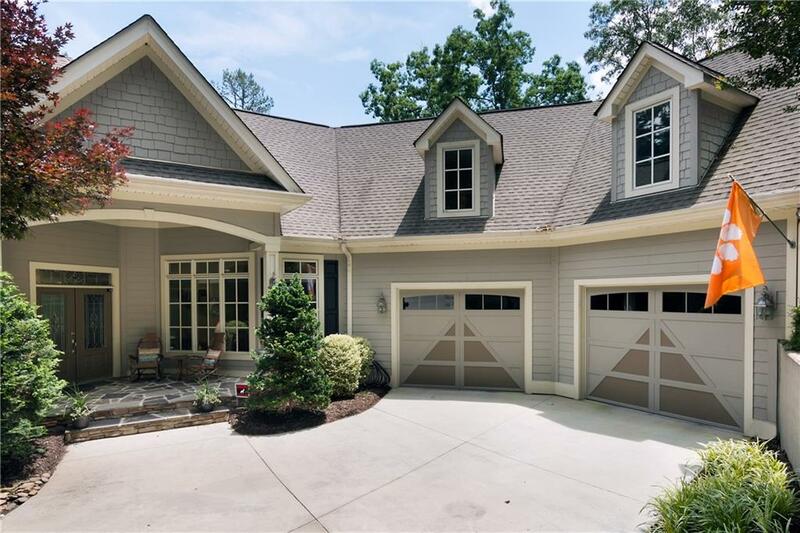 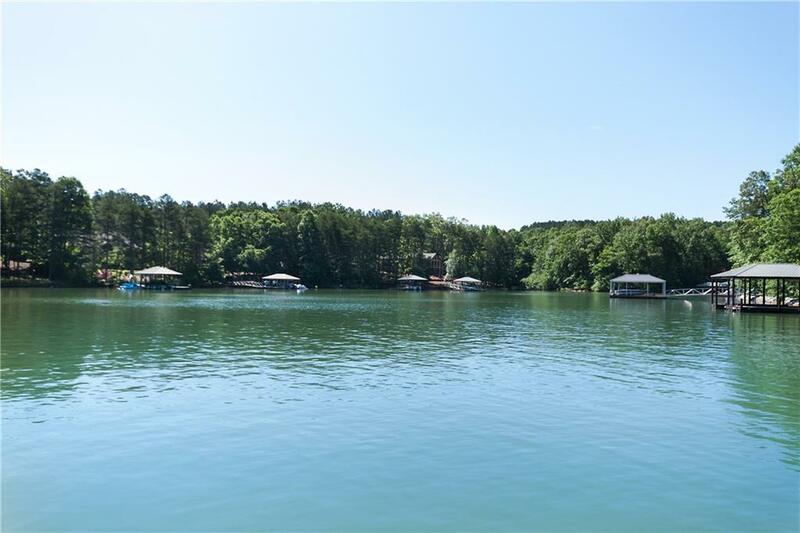 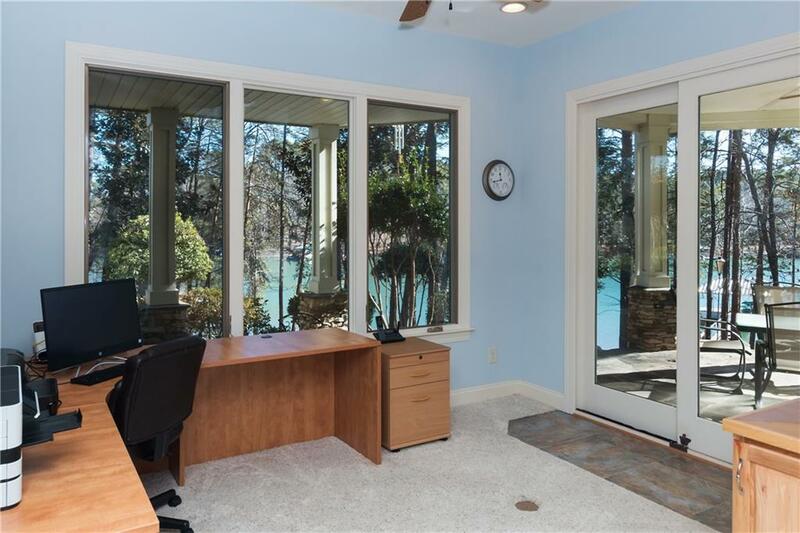 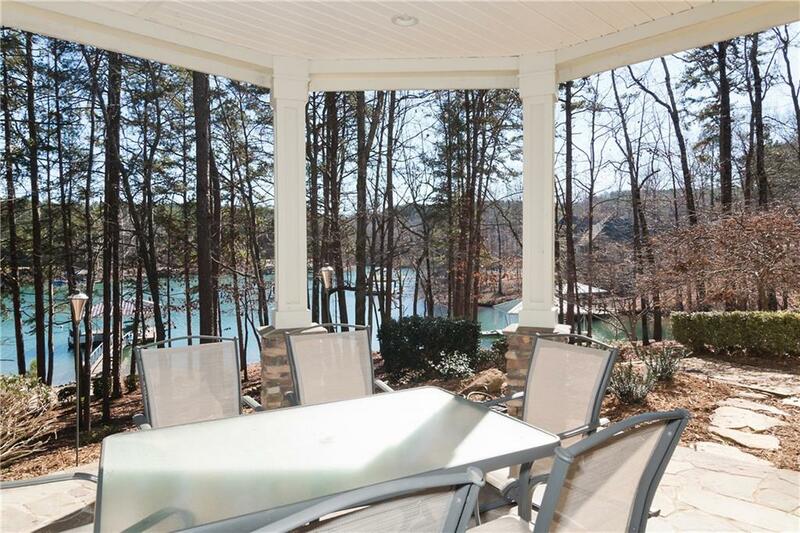 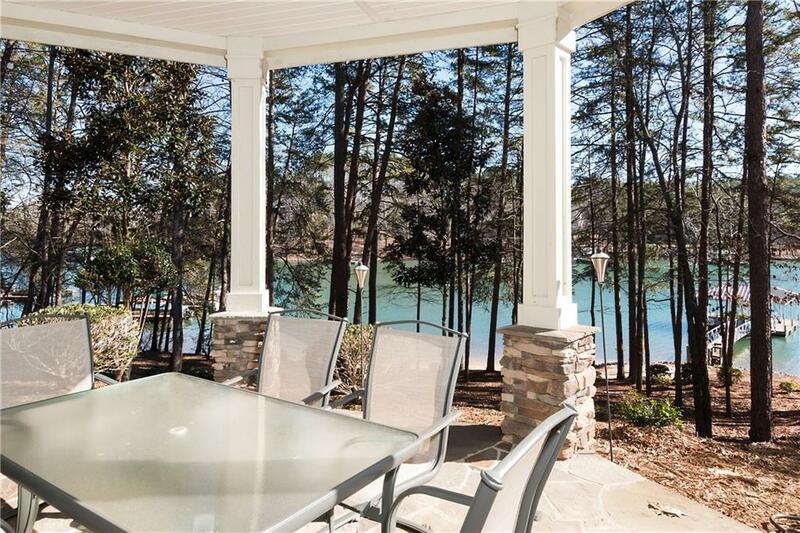 Quality Keowee waterfront home constructed by Lee Bolding in the established community of Waterside Crossing. 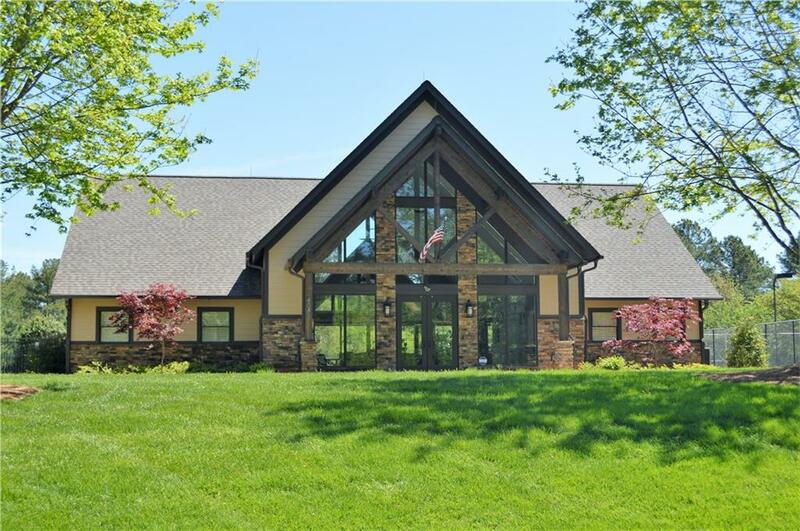 Meticulously constructed, this home offers numerous specialty features that set it apart from the rest. 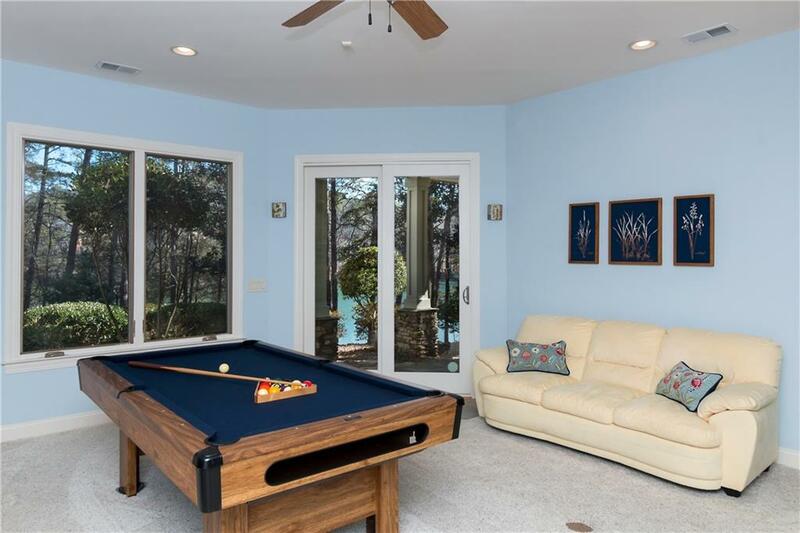 It feels like a vacation every day with plenty of space to enjoy kayaking, paddle boarding or simply lounging on the natural sand shoreline. 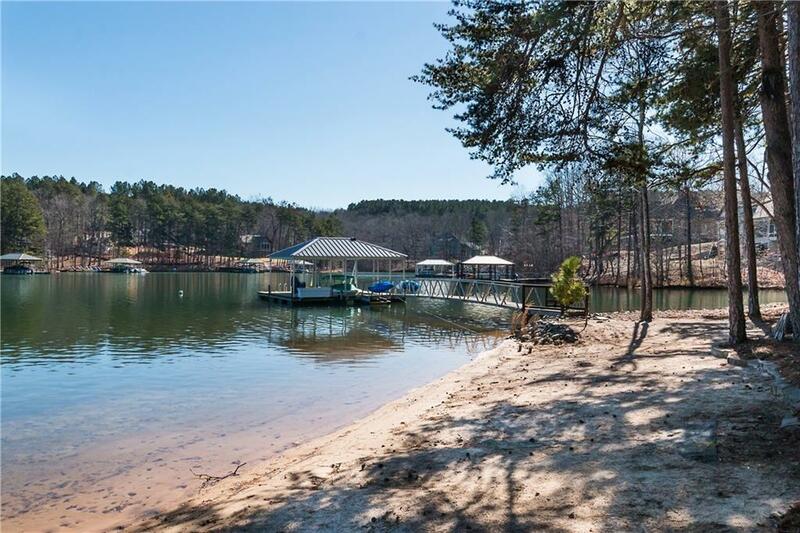 This unique beach produces gentle waves that remind you of your favorite vacation. 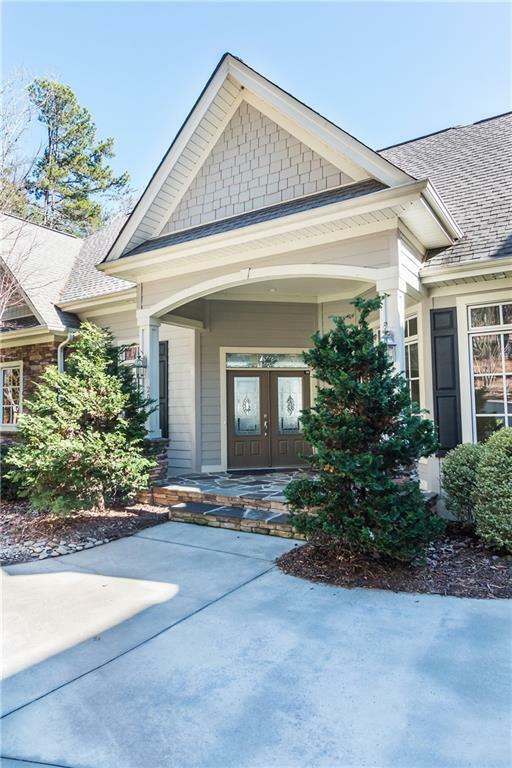 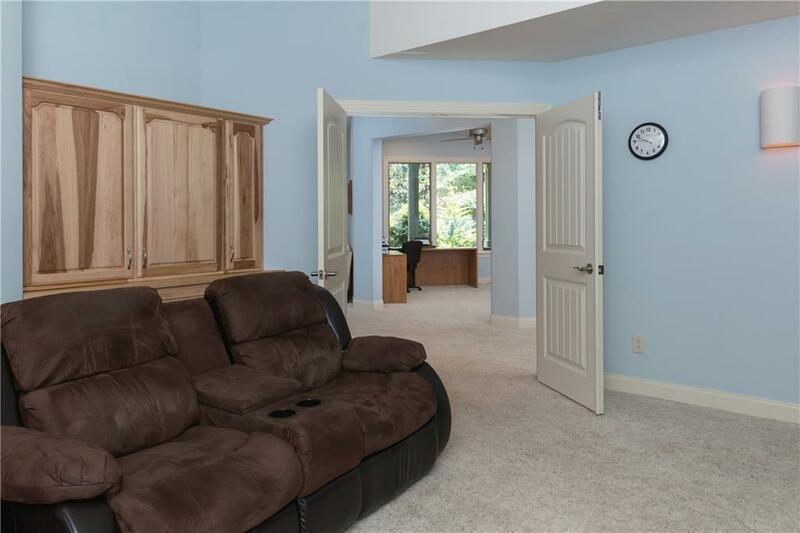 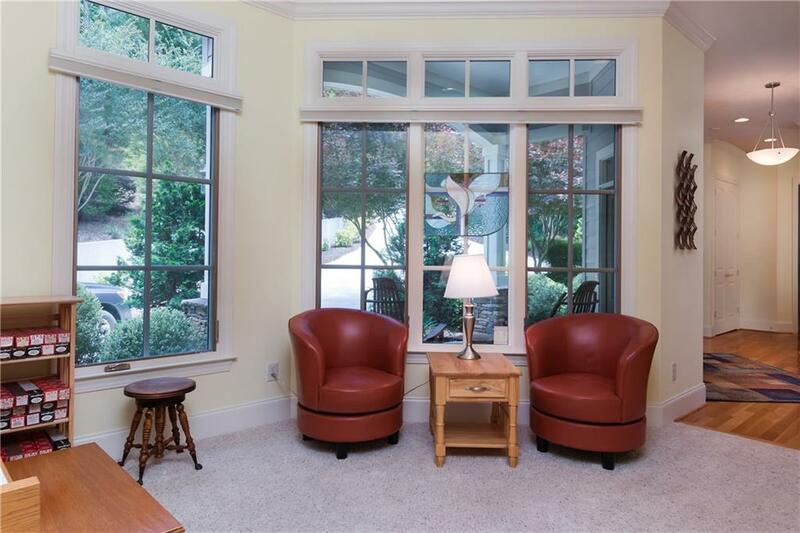 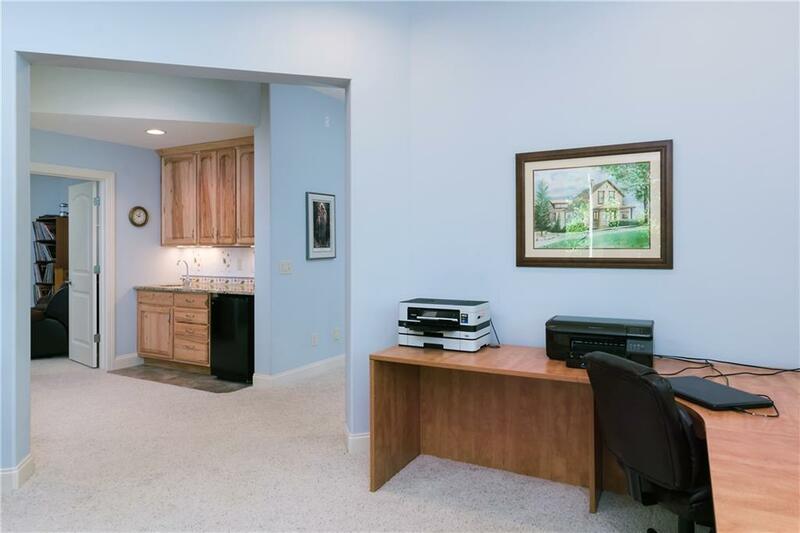 The home features a warm, inviting entry that draws you into its open, spacious floorplan. 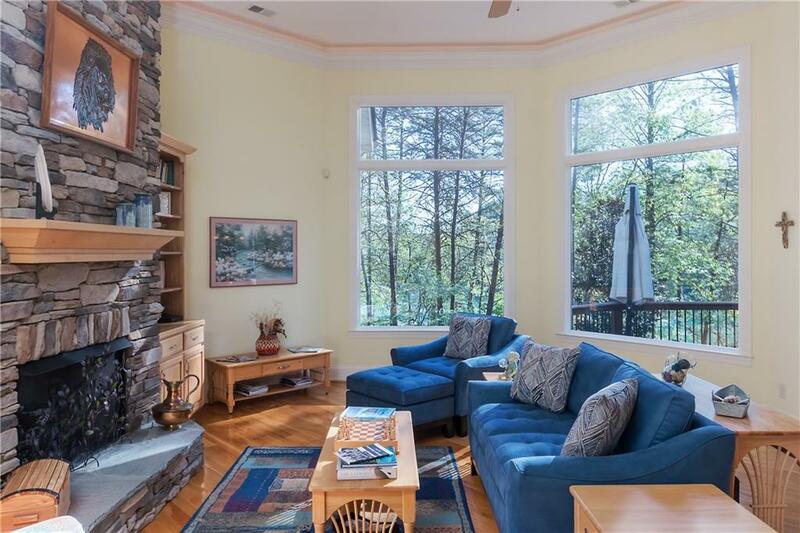 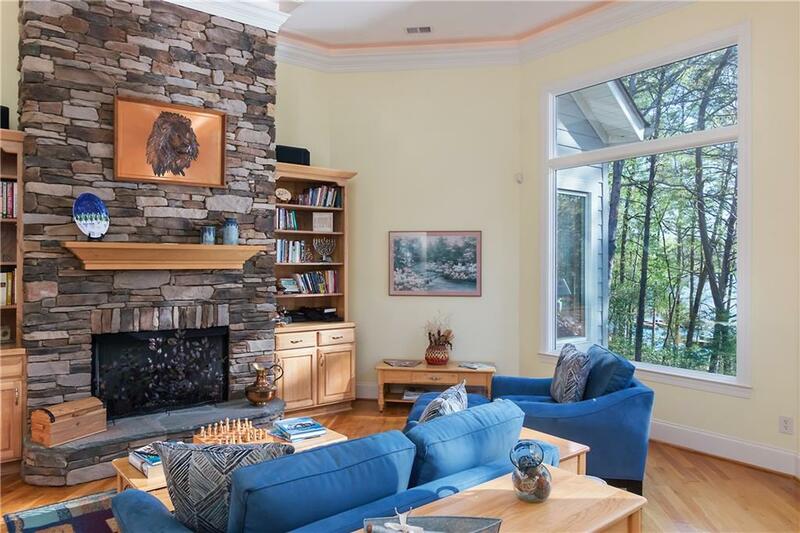 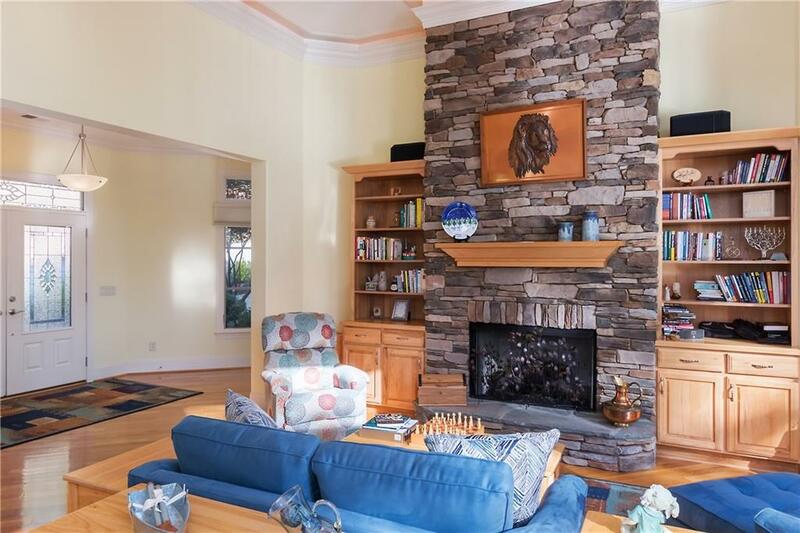 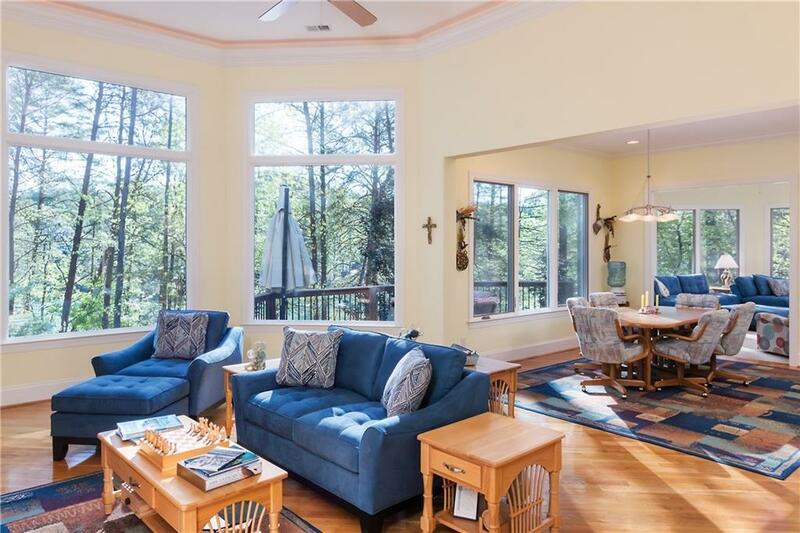 A cathedral living area offers a stone fireplace surrounded by hickory book shelves and extends to the sunroom with windows overlooking the lakefront. 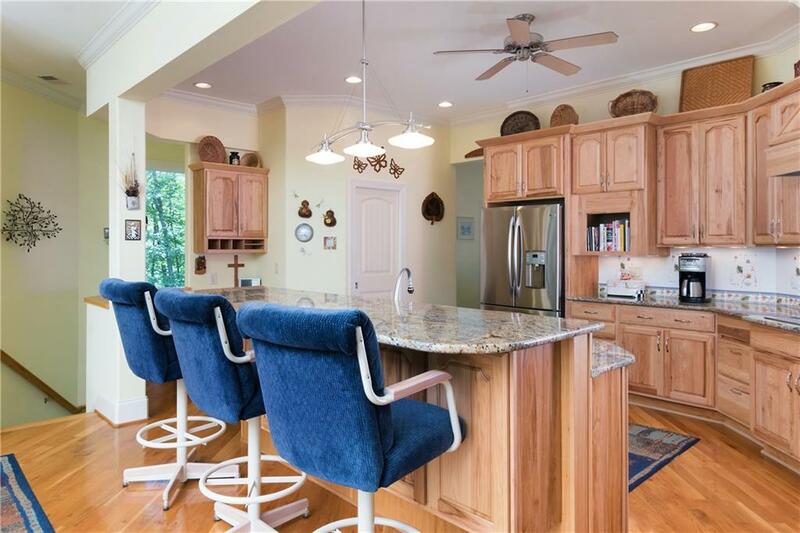 A chefs delight, the gourmet kitchen features a open island and easily flows among all of the main gathering areas of the home. 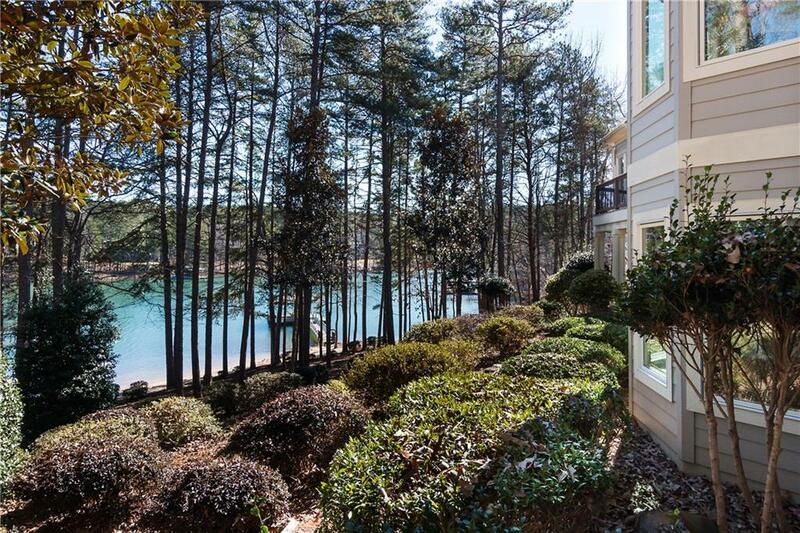 Towering glass windows and french doors run alongside the lakeside and the ironwood deck. 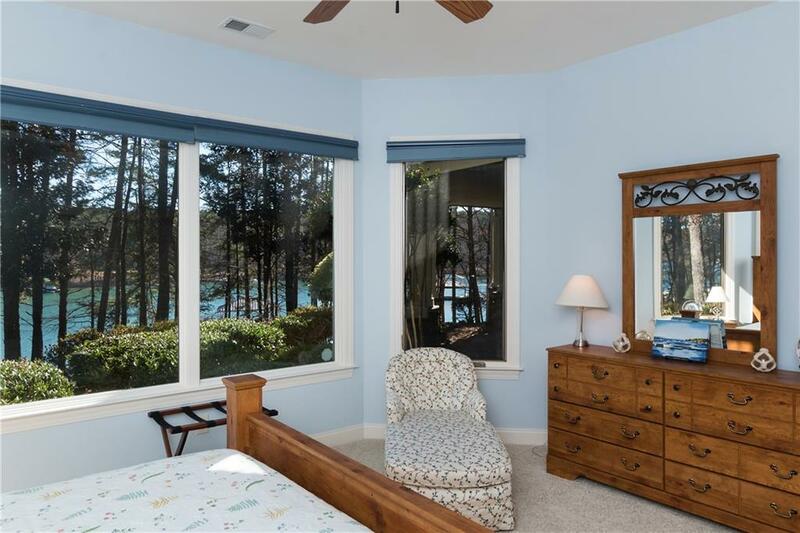 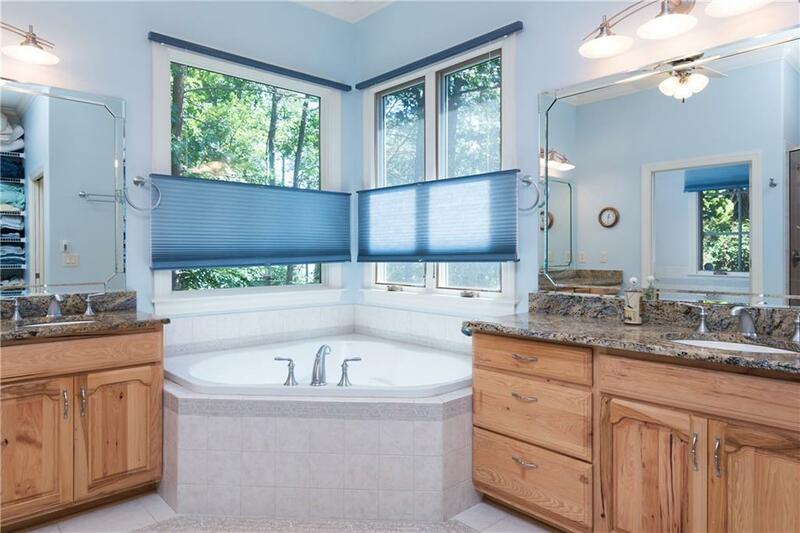 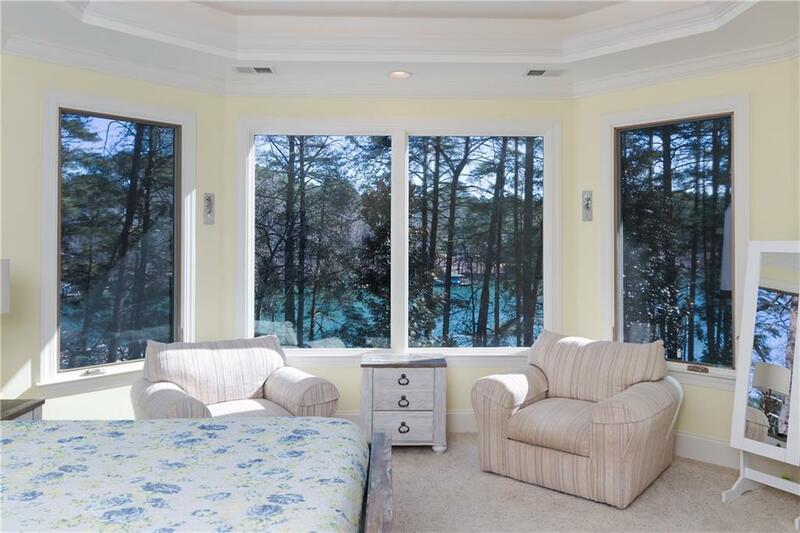 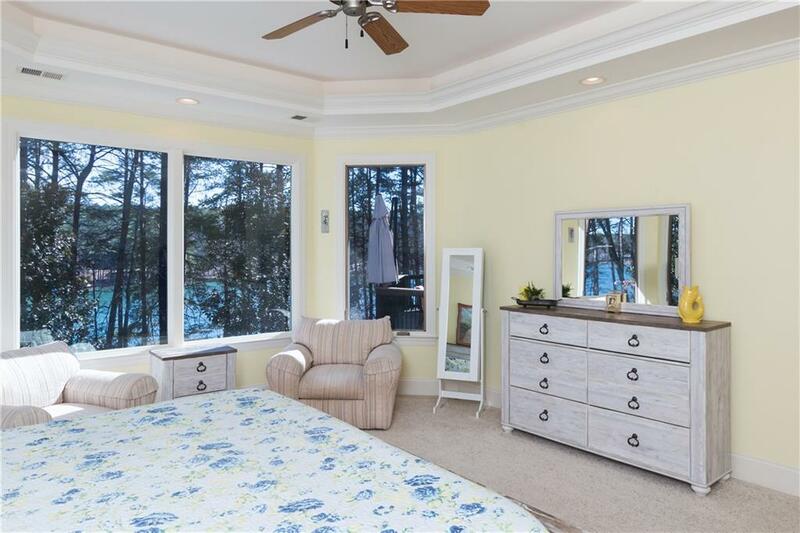 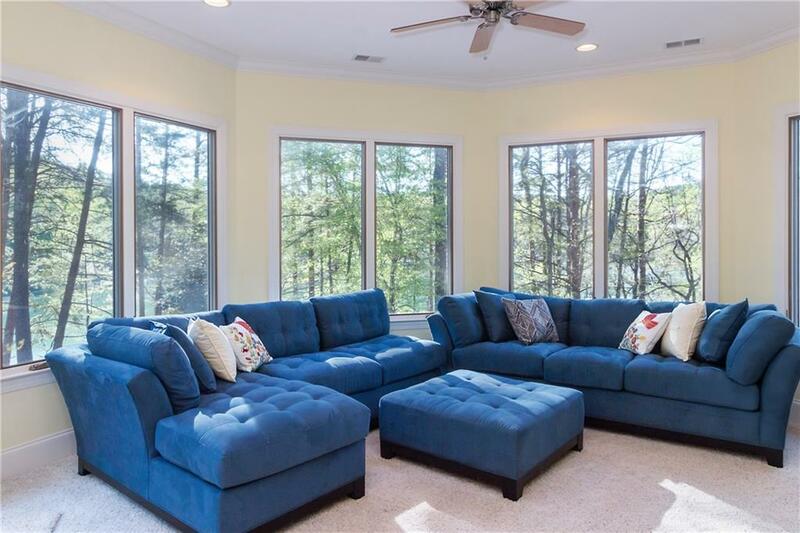 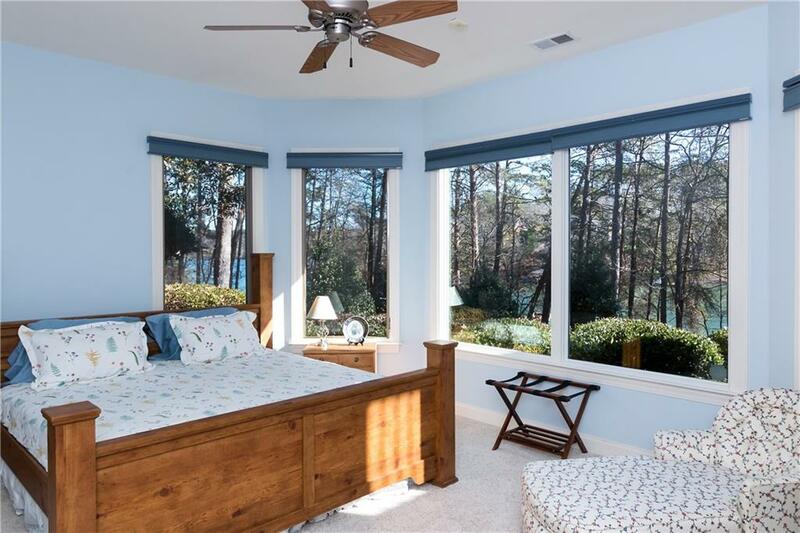 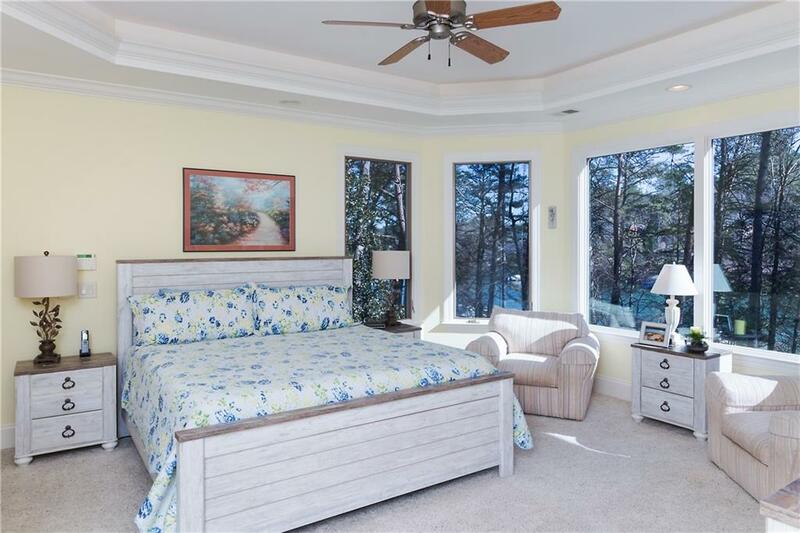 There's an abundance of natural light with lake views from most bedrooms and living areas of the home. 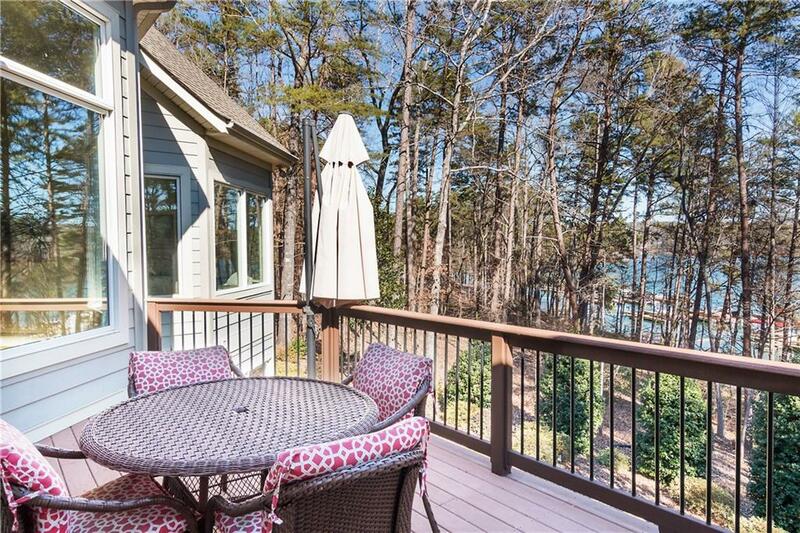 Off the terrace level is a covered patio great for morning coffee and evening conversation. 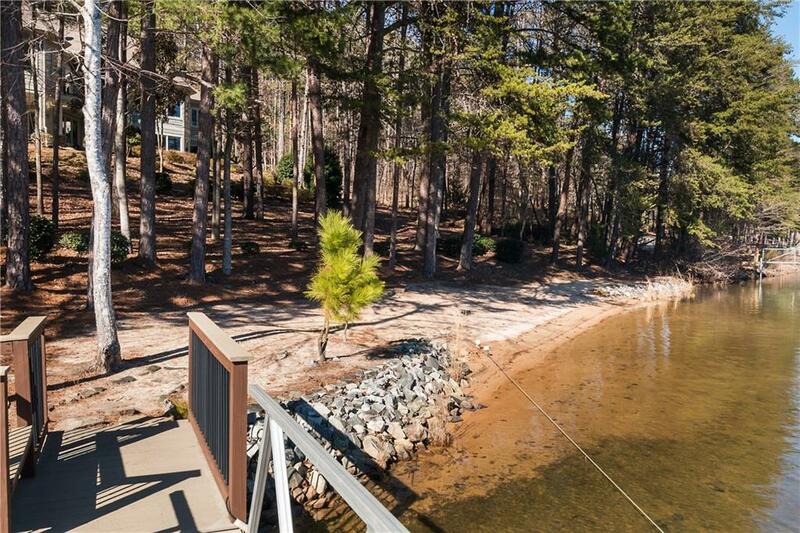 A gentle path leads to the lakeside, beach area and personal covered dock. 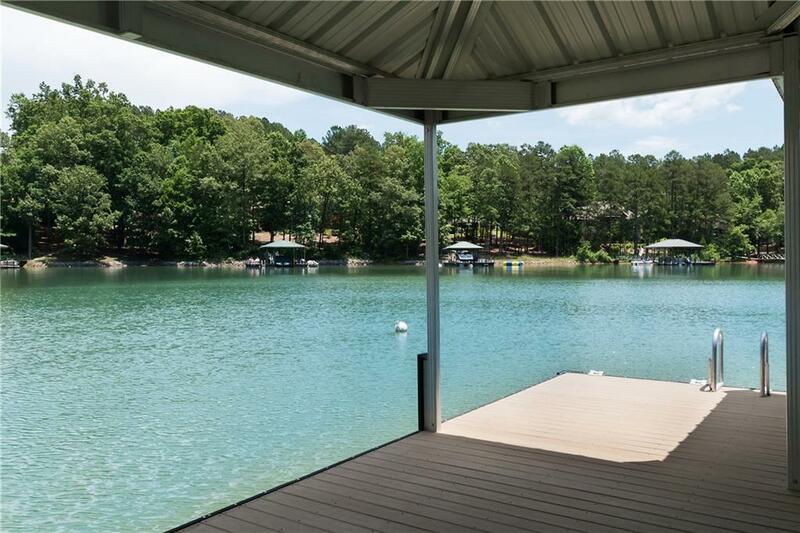 Whether dipping your toes in the sand or in the water, this retreat has a little something for everyone. 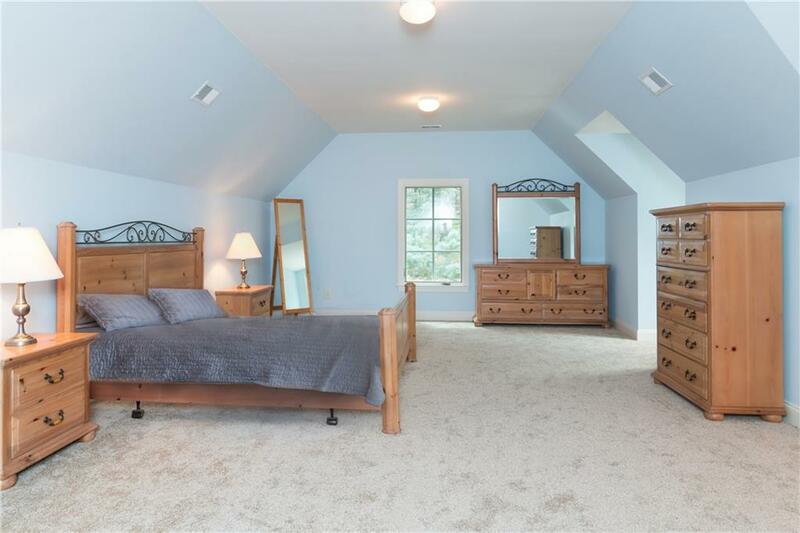 The main floor owner suite boasts a specialty ceiling, floor to ceiling windows and a spacious bath with walk-in closet. 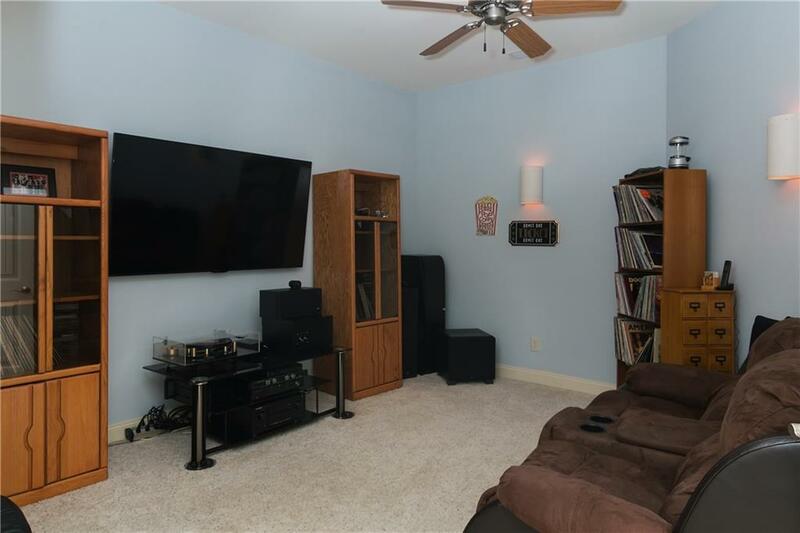 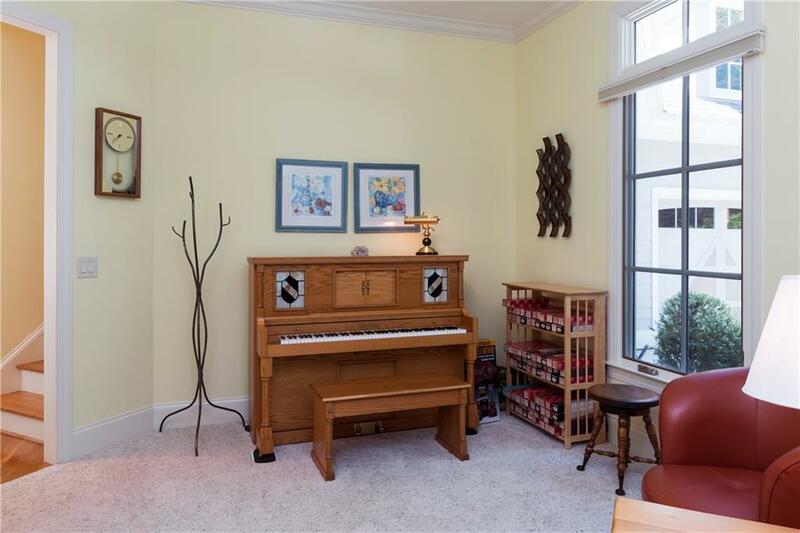 At the opposite end is another main floor room, currently used as a music area, tucked away with transitional space for added entertaining possibilities. 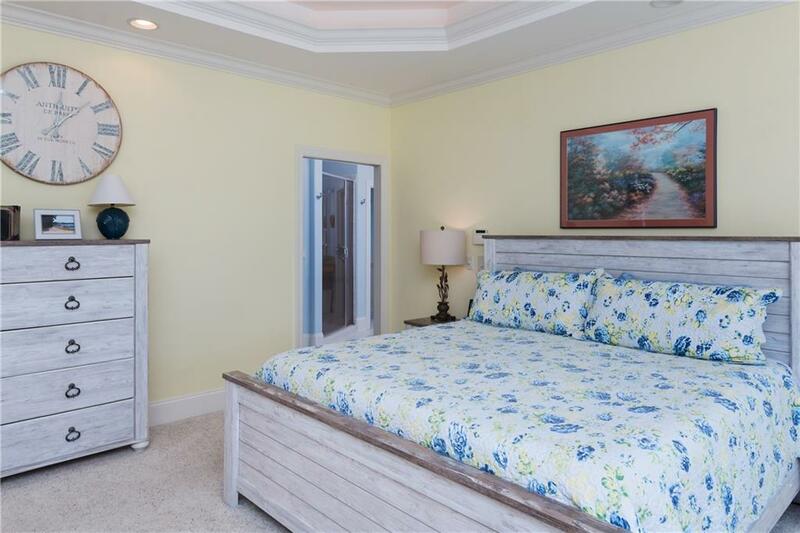 Above the garage is a walk-in storage area and private fourth suite with a large full bath and room for several guests. 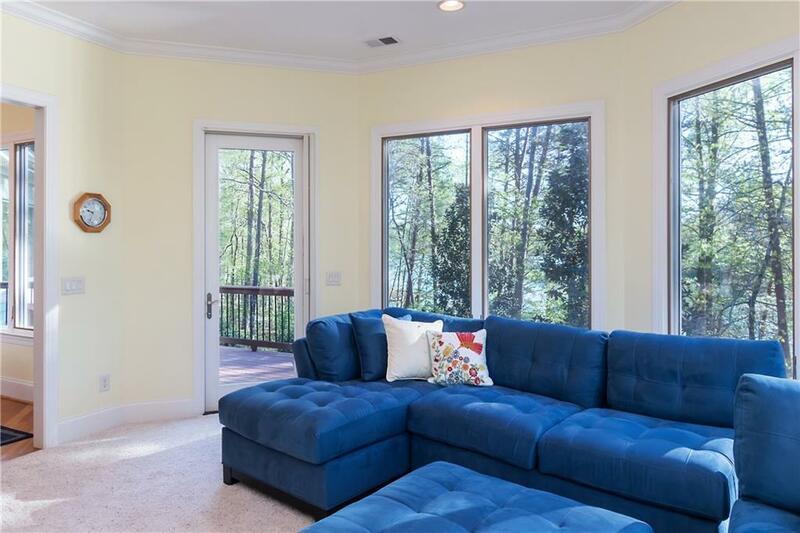 The homes terrace level walkout features a den with a bar area with tall ceilings and a wealth of light. 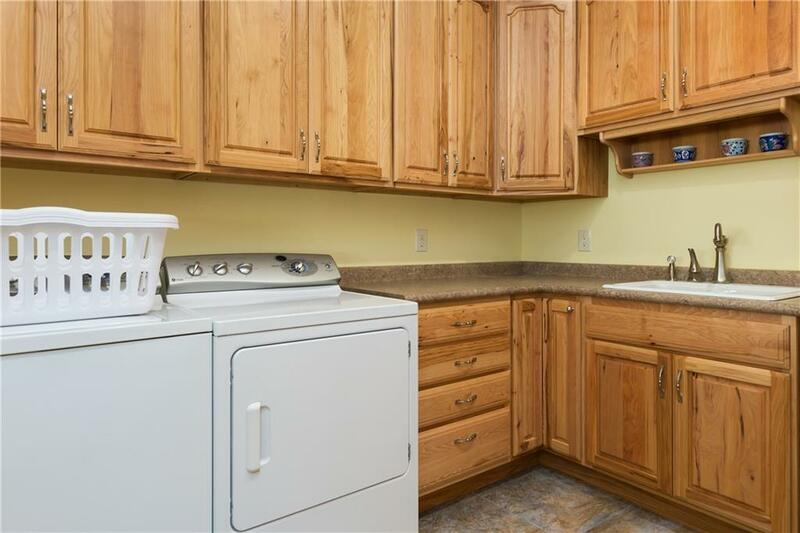 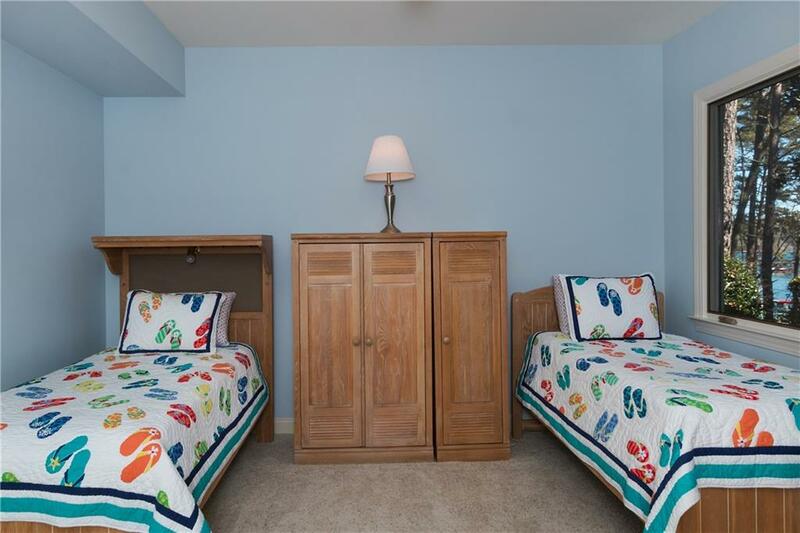 There are two spacious guest rooms with a large private bath, an extra theatre or cinema room, built-in office, bunk or flex space with room for the hobbyist and an unfinished storage area found behind the stairs to store supplies or water toys. 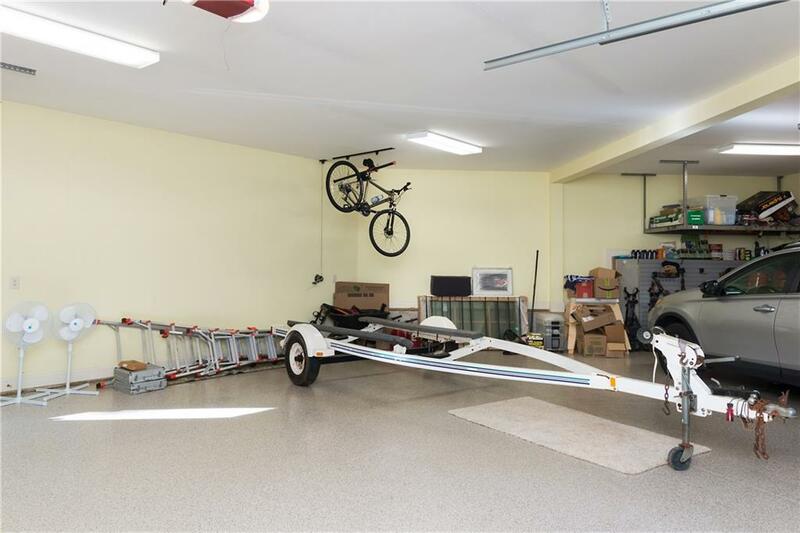 The oversized two and one half capacity garage has cabinets and tool organizers for the handy man. 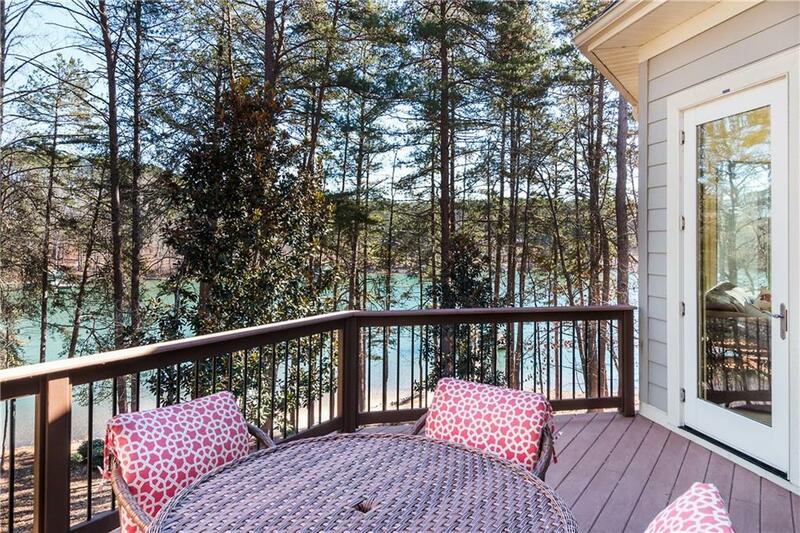 Behind the garage is a grill deck and full house generator. 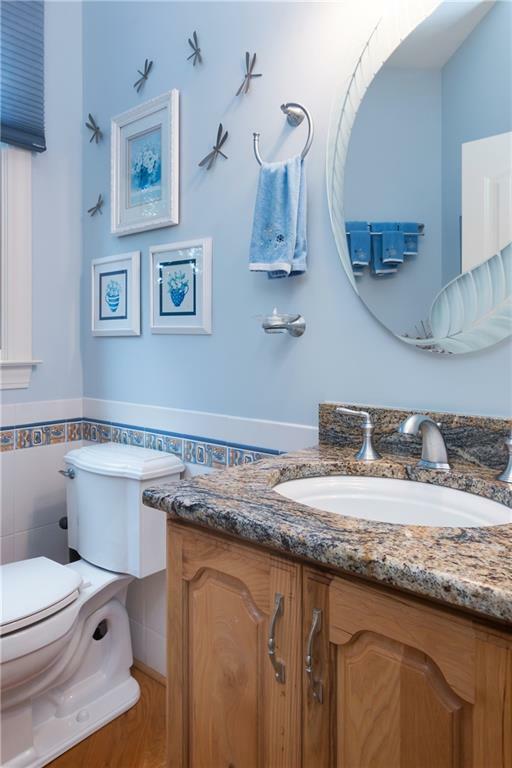 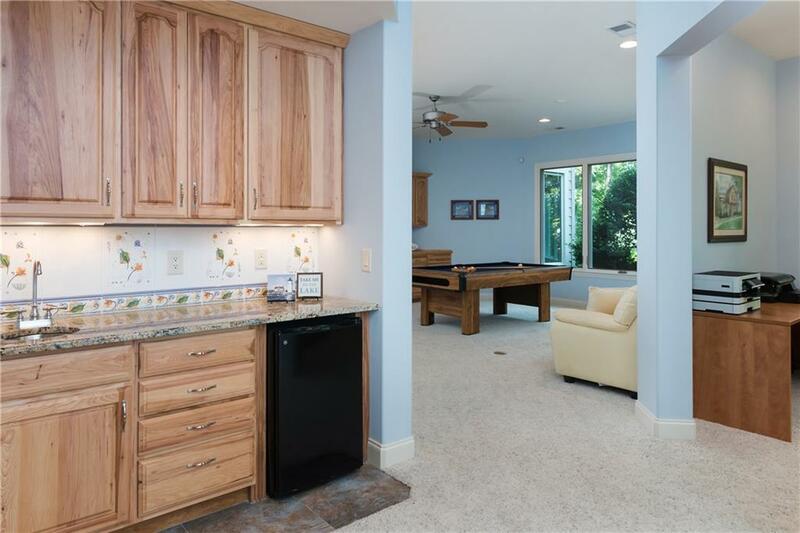 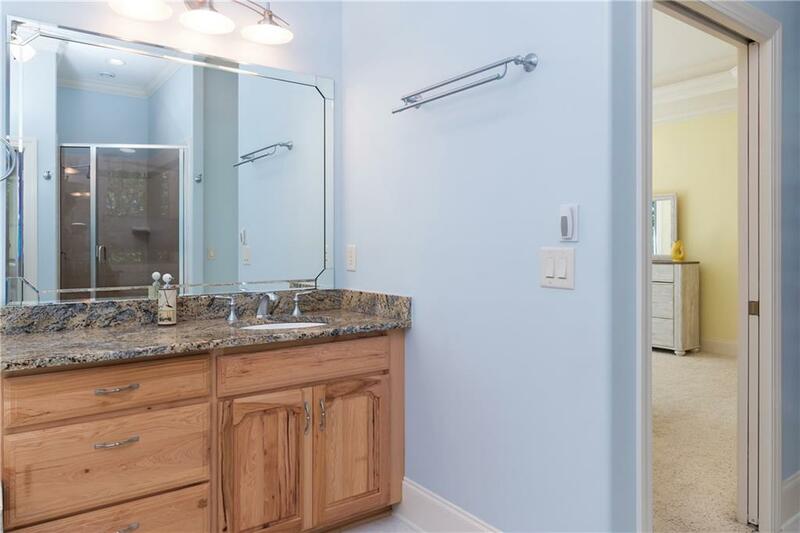 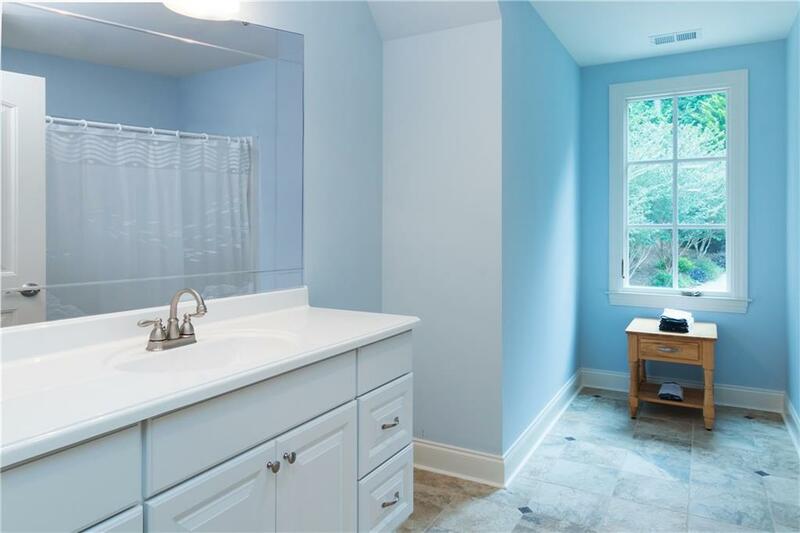 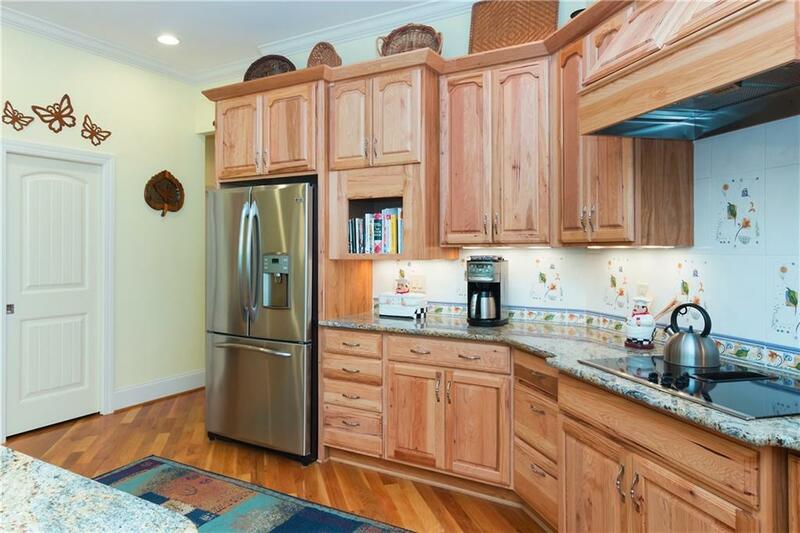 Special features of this home include white oak hardwood floors, specialty tile and granite counters throughout. 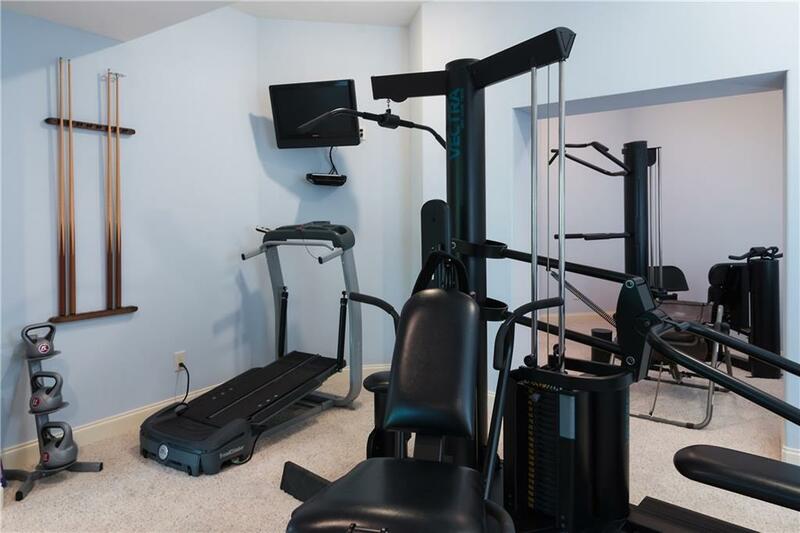 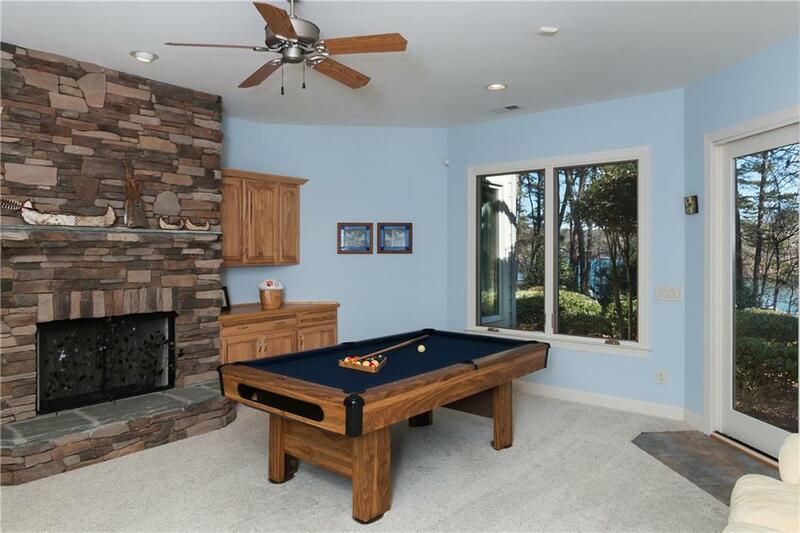 The community offers a junior olympic sized pool, clubhouse, lakeside fireplace/picnic pavilion, paved walking trails, playground, tennis court, street lights, sidewalks and boat/trailer storage. 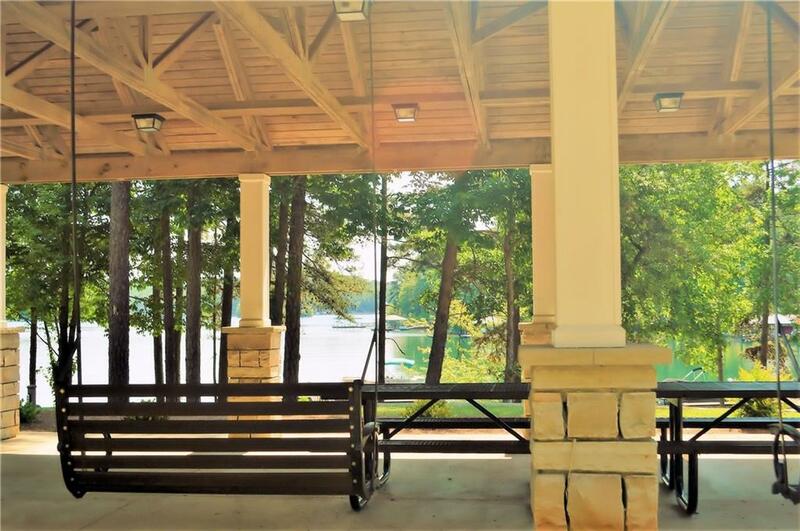 This lakefront neighborhood features group activities with neighbors, including luncheons, Octoberfest, Derby parties, mystery dinners and an annual holiday party. 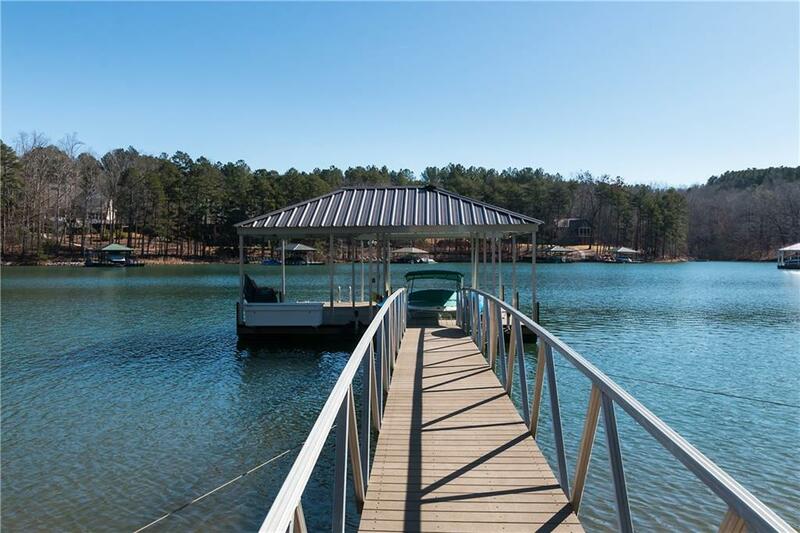 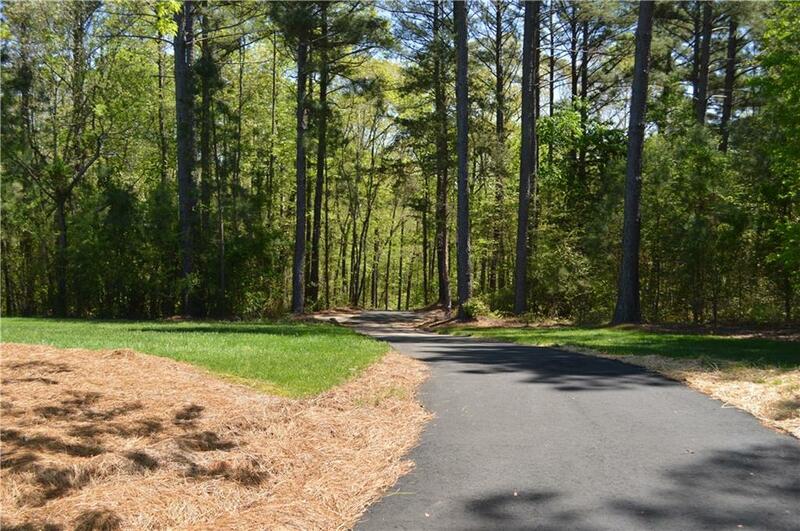 The lakeside picnic pavilion and walking trail access are merely yards from the home. 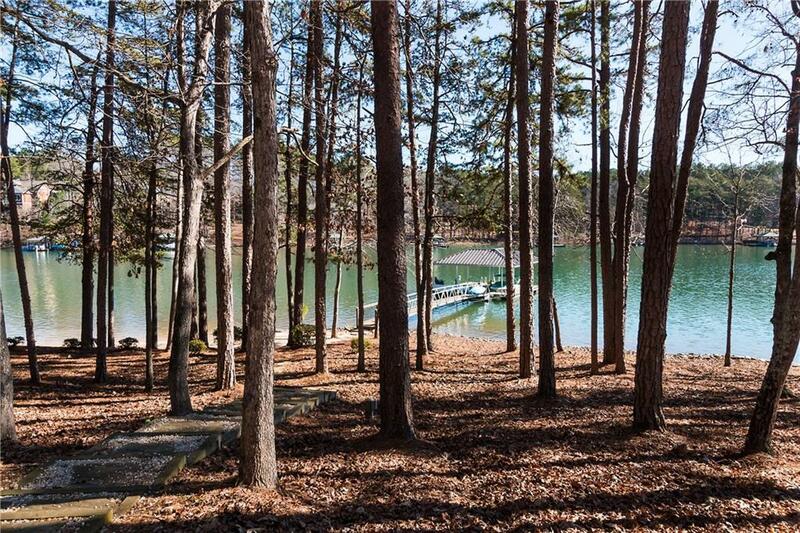 Bring the family...enjoy the lake, love the home, embrace the community!